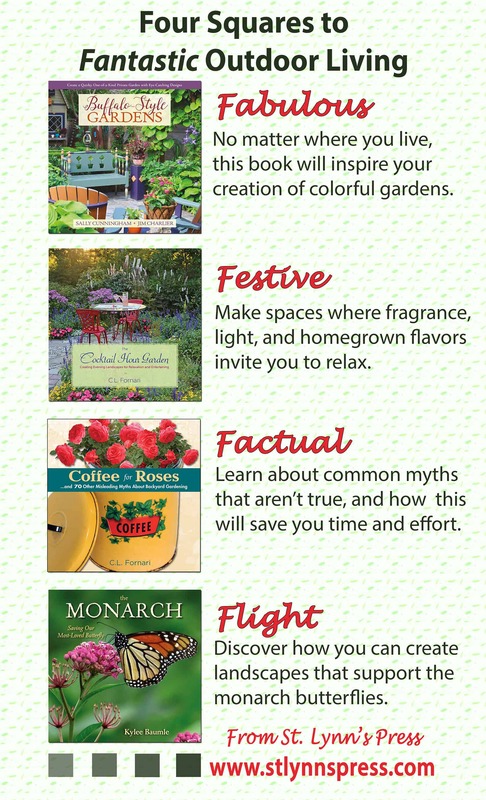 Four steps to a fantastic garden that is colorful, festive, less work and supportive of butterflies. Inspirational reading (and gifts) from St. Lynn's Press. The graphic might say four steps to fantastic outdoor living, but I’d call it Four Steps to Joy, because that’s what creating beautiful landscapes leads to. 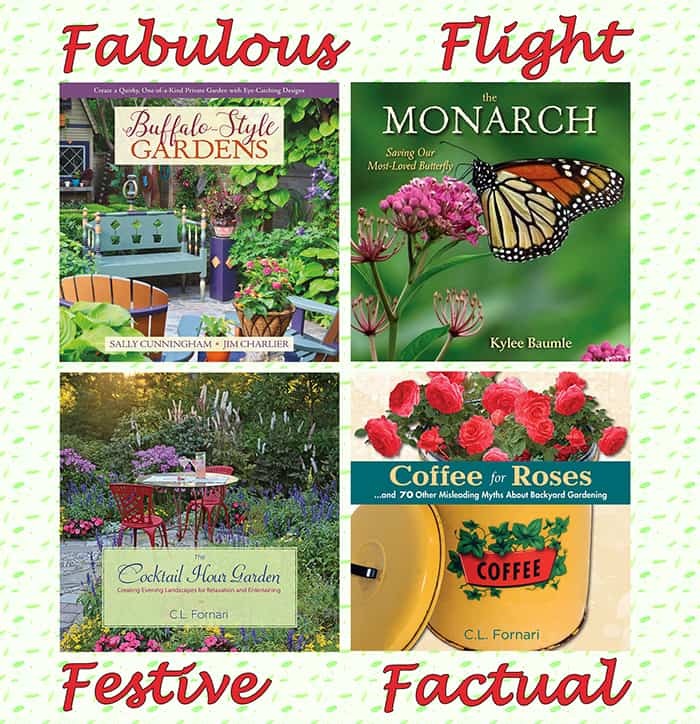 Four books (full disclosure: two are mine) to gardens that feed body, mind and soul…not to mention monarchs.